IRS Opening of the 2016 Filing Season - The 2016 filing season will begin January 19, 2016 and the systems will begin accepting and processing returns and refunds on that date. There is no advantage to filing on paper before the opening date and you will receive your refund much faster by using e-file with direct deposit. Again this year, the IRS anticipates issuing more than 9 out of 10 refunds in less than 21 days. 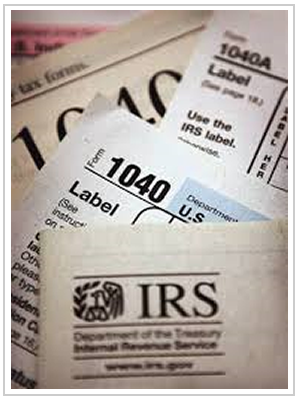 Tax year 2015 returns are due Monday, April 18, 2016. If you receive your health insurance coverage through the Health Insurance Marketplace/Covered California, you should receive a Form 1095-A; you should wait for this form to file your return because it is used to reconcile your tax credit. All others, such as employer-provided coverage, might receive a Form 1095-B or 1095-C. Although helpful, these forms are NOT required this filing season and you can file your return without it.